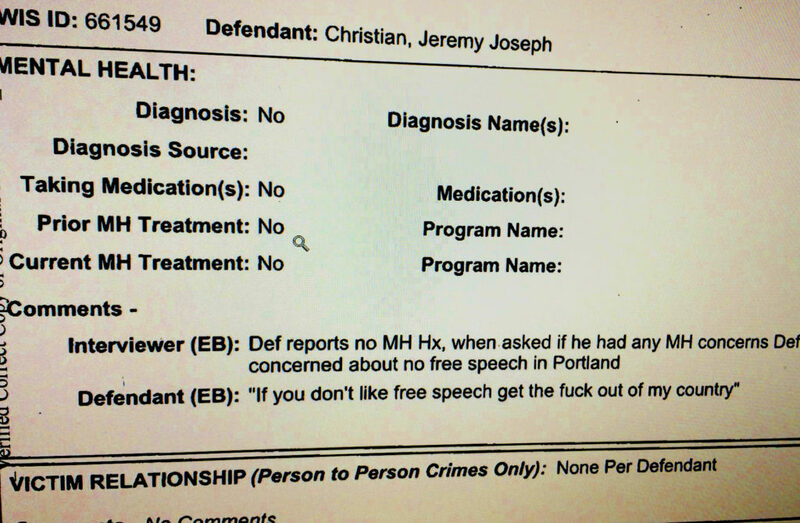 Court papers show that Jeremy Christian, the man who is accused of stabbing three men on Portland’s light rail train, doesn’t have a history of mental illness, so what’s the genesis of his hatred? Christian told authorities he’d never been treated for mental illness after they arrested him for murdering two men and stabbing a third on the light rail train on May 26th. 53-year-old Ricky John Best and 23-year-old Taliesin Myrddin Namkai Meche died from stab wounds inflicted by Christian, according to police. A third man, 21-year-old Micah David-Cole Fletcher, was wounded. Fletcher is a bit of a regular on the Portland protest scene. 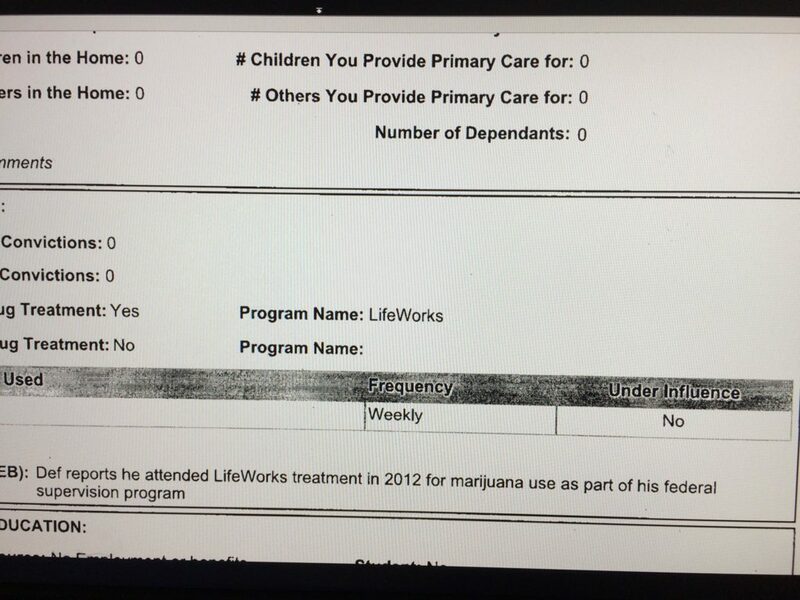 Documents show that the 35-year-old North Portland resident was a regular and heavy user of pot and received treatment for that as part of his probation. This information comes from court documents and rely upon his own declarations of mental health treatment (none). 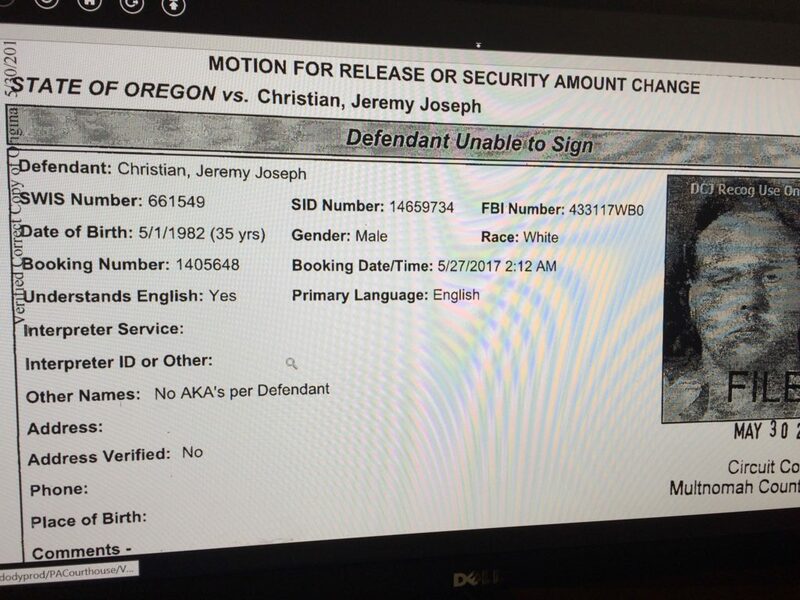 As has been previously reported, Christian was convicted of kidnapping and the unlawful use of a dangerous weapon after a 2002 convenience story robbery in North Portland. After serving a 90-month sentence for those convictions, he was convicted in 2011 on a federal felon-in-possession of a gun charge. After violating the terms of that conviction, he served about seven months in federal prison and was released in May 2014. 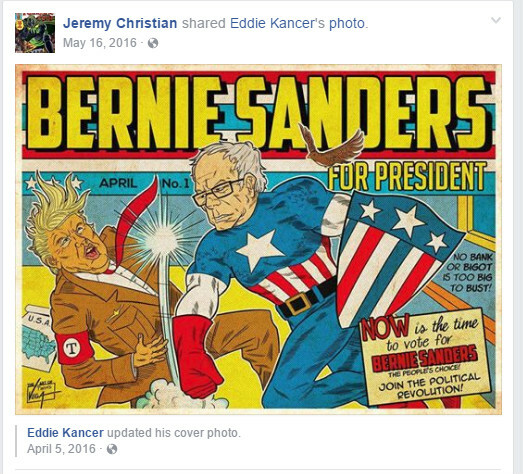 Christian had a hatred for several politicians, including Donald Trump and Hillary Clinton. 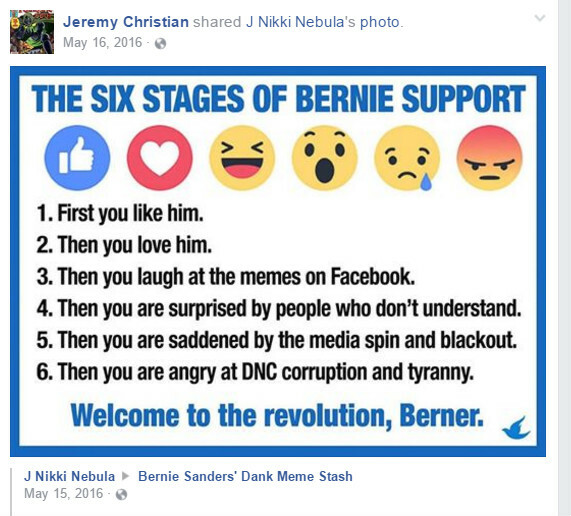 He had a bromance with Bernie Sanders and liked Jill Stein. People who haven’t spent years talking to themselves and becoming numbed in prison may spot what we would consider mental illness going on here. We think a person who would do what he’s accused of is crazy. But with Wednesday’s deliberate targeting of Republican lawmakers by another Bernie Sanders supporter, “antifa” violence, anger by Democrats over the fixing of the primary by the Hillary Clinton campaign, we’ve seen much more violence coming from the left.